Hamilton police are looking for tips after someone stole a refrigeration trailer with $45,000 worth of lettuce inside. They're also having fun with the puns. 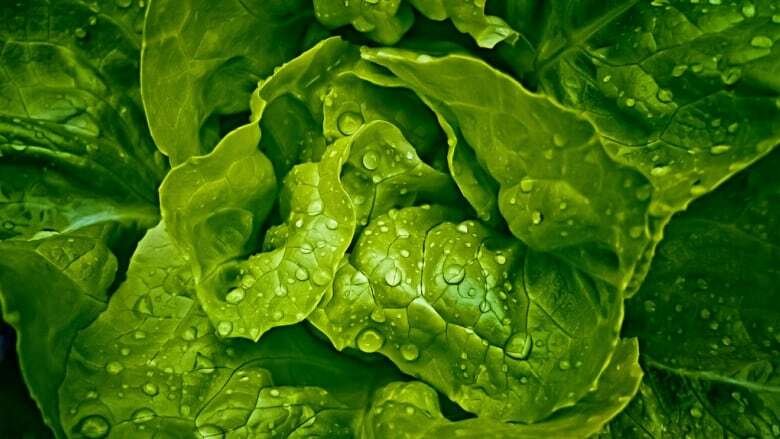 Hamilton police are looking for tips after someone stole a refrigeration trailer with $45,000 worth of lettuce inside. The trailer was parked at 50 Covington St. in east Hamilton when someone stole it, police say. It happened sometime between 8 p.m. Friday and 4 p.m. Saturday. 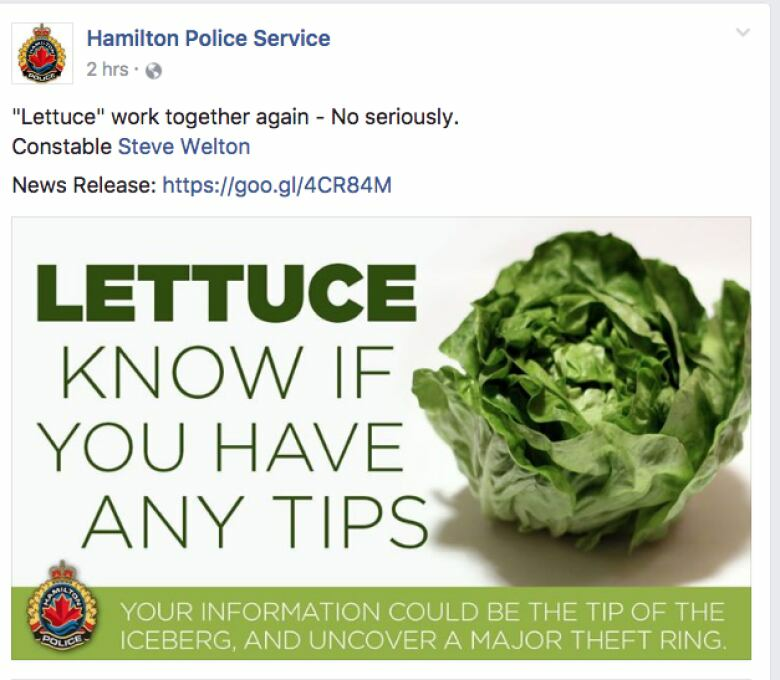 Police played up the puns on Tuesday, urging people to "romaine calm" and "lettuce know if you have any tips." "Your information could be the tip of the iceberg," the service said on its Facebook page. Police say the culprit drove the truck to Toronto and left it, but not the trailer containing the lettuce. The trailer's licence plate is P9002D. Anyone with information should call Staff Sgt. EmiDio Evangelista at 905-546-2991, Det. George Gallant at 905-546-3820, or Crime Stoppers at 1-800-222-8477. The incident isn't Hamilton's first strange theft of the year. In February, someone stole $100,000 worth of blueberries and other fruits. Last August, someone stole $10,000 in merchandise from a local fetish and clothing shop. In November, someone stole 34 rare exotic birds from a shed in Ancaster.